Tutoring in all subjects: Math, Science, English, History, etc. We are currently accepting volunteer tutors. 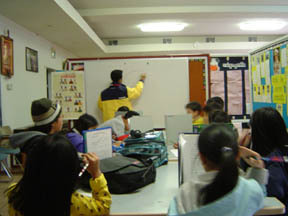 We tutor in all subjects – Math, Science, English, History, etc. We also offer help in the college admissions process. Do you tutor elementary school students? Yes, if the student needs help in a particular subject. I would like to volunteer as a tutor. Who can I contact? Why do the students need to bring their homework and textbooks? We use the homework to diagnose the student’s skill level and to as a reference to where it should be. Tutors will need to reference material in the textbooks occasionally. Do you offer private tutoring outside of the temple? 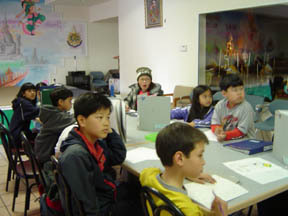 Private tutoring outside of the temple is not offered through this program. If parents decide to hire a private tutor, we highly recommend parental presence at all times. What if there is a conflict due to music or dance classes at the same time? We will have a special time slot every Sundays at 2-3 p.m. starting January 22nd only for students who have conflict because of music or dance. Please let us know if interested, so we can make room arrangements.